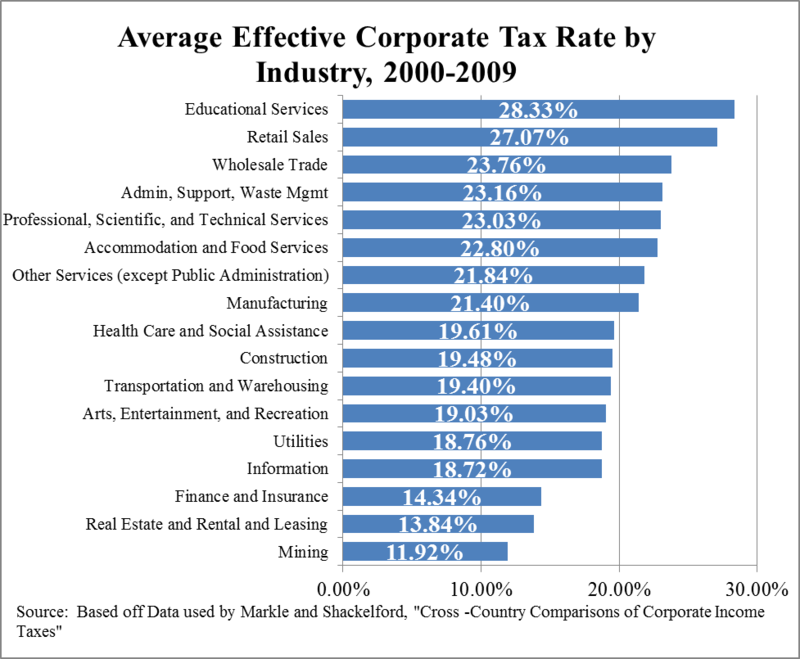 Using firm-level data from the study: “Cross-Country Comparisons of Corporate Income Taxes” this chart shows the average effective tax rate each industry (by two digit NAICS code) faced throughout the OECD from 2000-2009. Since this data set did not randomly sample industries from each country or year, these number are the average rate, controlling for year and the home country of the parent corporation (this does not control for corporations' asset sizes). All values are statistically significant (.001 level).